With companies cutting back on staff, many are looking to the outside for new ideas. They are not looking for just any idea. Companies must be convinced an invention will become a money-making product. 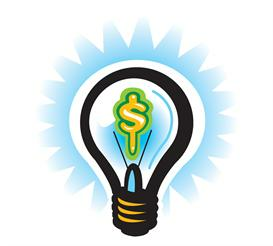 Every year, millions of dollars are earned by inventors and entrepreneurs who sell their ideas or license for royalties. For this to work for you, you need to know the process, what companies want, and how to approach them. Why do Inventions get Rejected? Typically, inventors call companies on their own to license or sell their idea, only to be rejected. Inventors have told me this over and over. Because companies want to know how a product will generate a profit. Inventors who call or blindly mail booklets, talk about their idea in terms of features, functions, and innovation. That's important, but there's a disconnect between the inventor's point of view, and the company's need for marketing data and sales forecasts. If you approach companies cold, you'll likely get rejected. Companies are much more open to your ideas once you do some market research before you contact them. Companies get flooded with ideas submitted to them and don't have time to evaluate every one. Just having a good idea is not enough to get noticed. To make your point, you need to clearly show how your idea will make them money. Let me share with you the true methods of selling your ideas. I've condensed the information down to just the important step-by-step procedures, examples, and checklists into an easy to read booklet.